The index opened flat and stayed in a narrow range, oscillating between red and green but closed positive at 8592.15, gain of 16.85 points. The broader market was negative with 624 advances to 967 declines. Range now at 8400-9000. Call option 8500-8600, 9000-9300 added 4.95 lacs OI with profit booking at 8900 strike price. Put option 8500-8400, 8200-8000 added 13.20 lacs OI with short covering at 8600 and above strike prices. 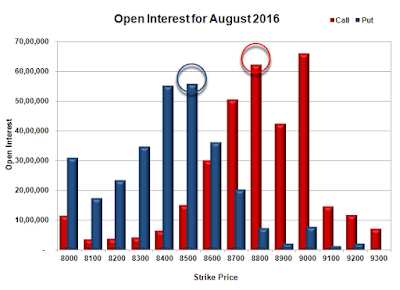 Nifty Open Interest is at 2,55,09,600 down by 57,300, with increase in price, most probably short covering. 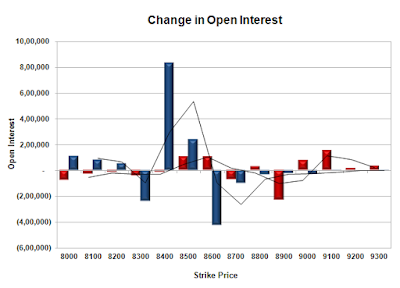 Bank Nifty Open Interest is at 17,10,320 down by 1,84,280, with increase in price, most probably short covering. FII’s sold 342 contracts of Index Futures, which includes net 135 contracts long liquidation and 207 contracts short build-up, with increase in net OI by 72 contracts, includes 26406 longs to 26748 shorts for the day. FII’s Index future open contract as on date is 299094 Longs to 43447 Shorts, Net long 255647 contracts. 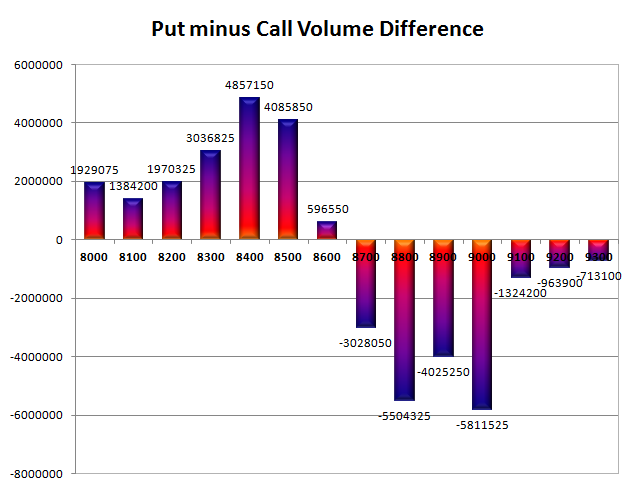 Initial and best support at 8500, with OI of 55.91 lacs and below that at 8400 with OI of 55.23 lacs. 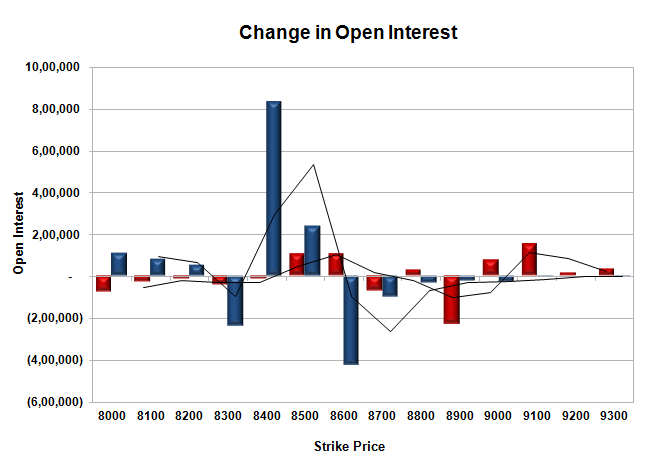 Initial resistance at 8700, with OI of 50.59 lacs and above that at 8800 with OI of 62.36 lacs. 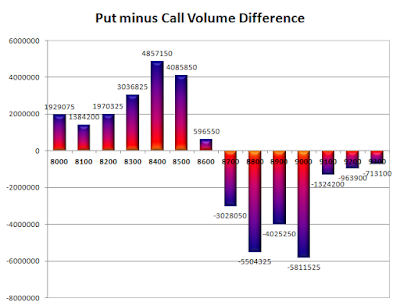 Day Range as per Option Table is 8519 - 8646 and as per VIX is 8528 - 8656 with 8578 as the Pivot.